We have covered a few apps for handwriting on the iPad when we need to take notes. There are a lot of options for writing and keeping the text as electronic ink. There are very FEW options for good handwriting recognition. Two options, both created by PhatWare do more than just convert your handwriting to text, they have enhanced features to do more with the text you write. WritePad was just updated in the area of writing phone numbers. Something you don’t think about till your in a hurry to get a phone number written as a person says it. Then, how to get it from a handwritten note into your contacts area. WritePad now has that covered. 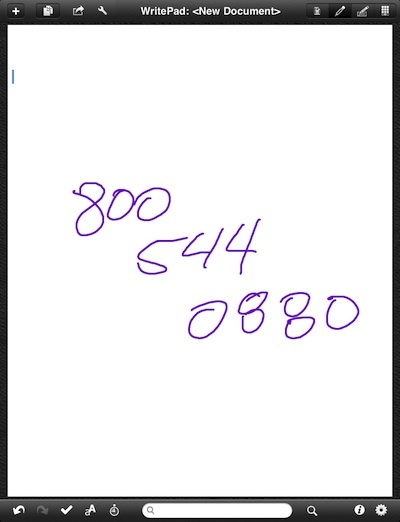 Simply write a phone number with your finger or stylus. This can be on a new page or one that your taking notes on. 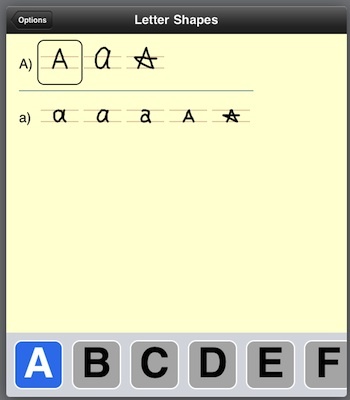 WritePad will auto correct the handwriting to text just like it does your normal handwritten text notes. 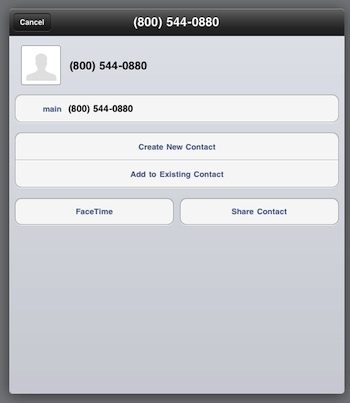 Double tap on the phone number, WritePad will open a ‘contact’ window for you to either use the number for a new contact or add to one you already have on your iPad. Built into WritePad is the ability to sync to the two Cloud options that we use; Evernote and Dropbox. Setting up either with your account information will result in your notes synchronizing between your iPad and cloud accounts. 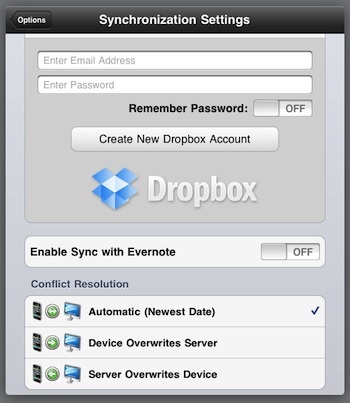 Notice the Conflict Resolution options – most other notes apps on the iPad just overwrite your cloud stored documents. 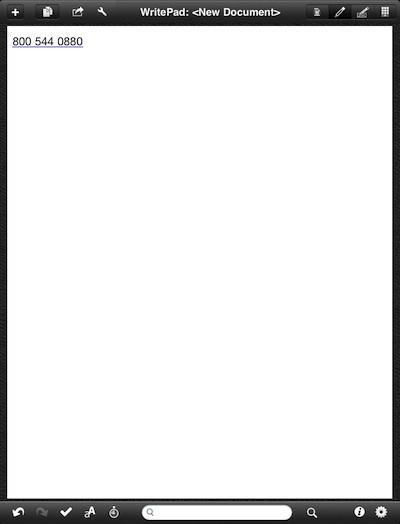 Along with the above syncing, you can also push your notes to Google Docs from the ‘Share’ pull down in the upper left corner of all screens. 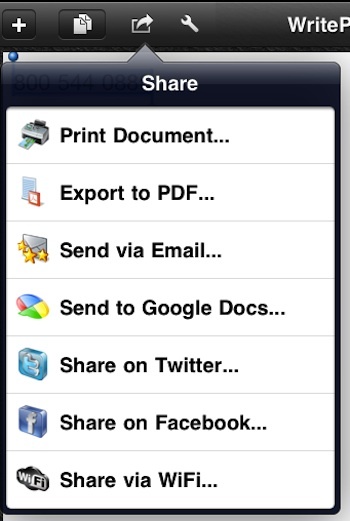 WritePad offers the other popular sharing options you might need to get your notes out to other coworkers. If you are finding that WritePad isn’t correcting your handwriting to text as well as you would like. There is handwriting letter shapes tuning possible. Go to the ‘options’ area, choose ‘Letter Shapes’, then choose the examples closest to the way your hand write.